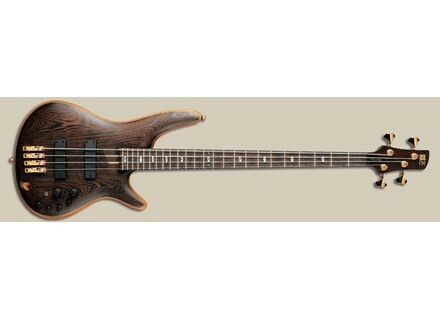 SR5000E, 4-string bass guitar from Ibanez in the SR Prestige series. 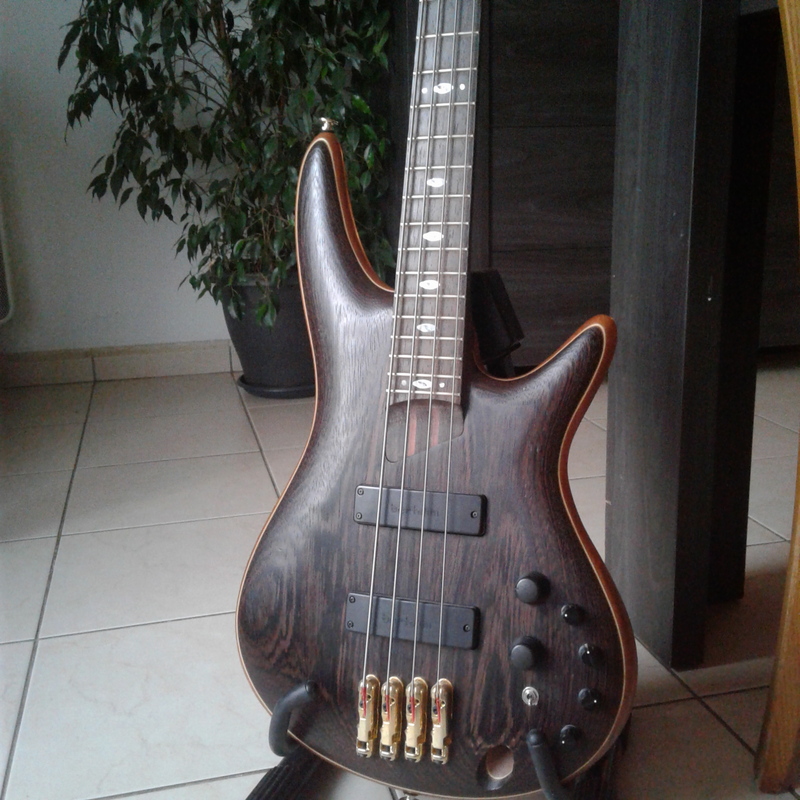 falgorh's review (This content has been automatically translated from French)" bass perfect"
is a low manufactured in Japan, like all Ibanez prestige. the handle is made of 24 frets, medium type. Bartolini are micro, or the premium for low even for a scratch like me! they are just perfect, very well placed to help the game to the fingers. these are two hambuckers, custom Bartolini, liabilities. notammment mechanics, which are beautiful as well as an orgasmic stability (no block-strings, the tuning is almost maintained ...). the strings are mounted Elixir. the handle is a delight, as always with the Ibanez prestige. 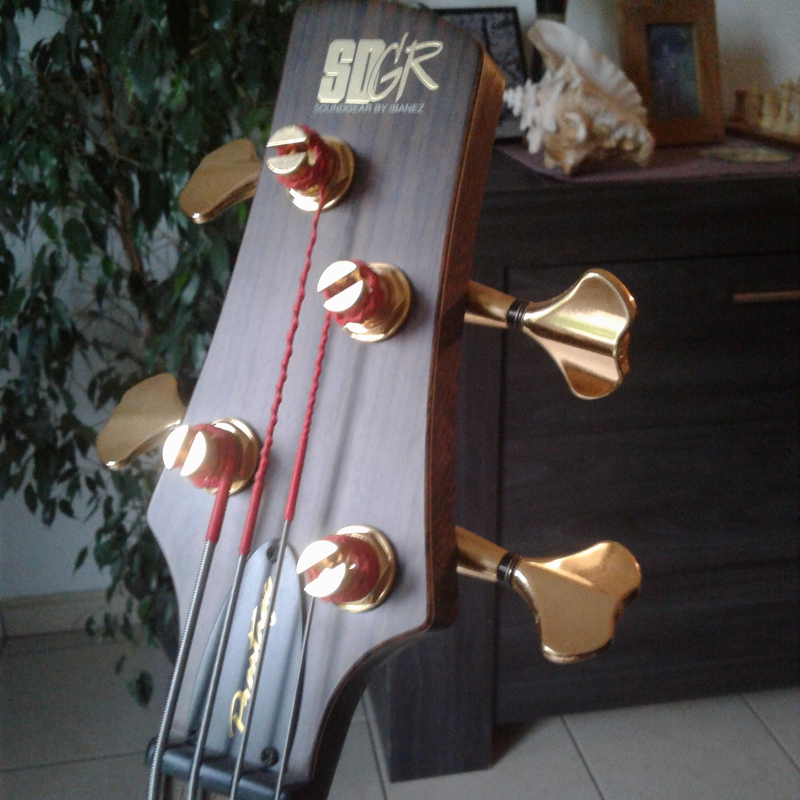 even I who am accustomed to ultralight rods for guitars, I'm doing ..
it is a pleasure to play on this bass, so are perfect ergonomics. access to acute is very easy, the weight is balanced and relatively light, short ... there's nothing to throw. we get a good sound ... right away. it matches any style I think. I do not slap or popping, but guts in terms of sound, this bass is magic. the sonic palette is as broad as it is beautiful. its clear, when I took to make bass solos, I find myself as a sick tripper on simple intervals, such as third or ninth, so the sound of this bass is warm, round, clear, brief always beautiful. 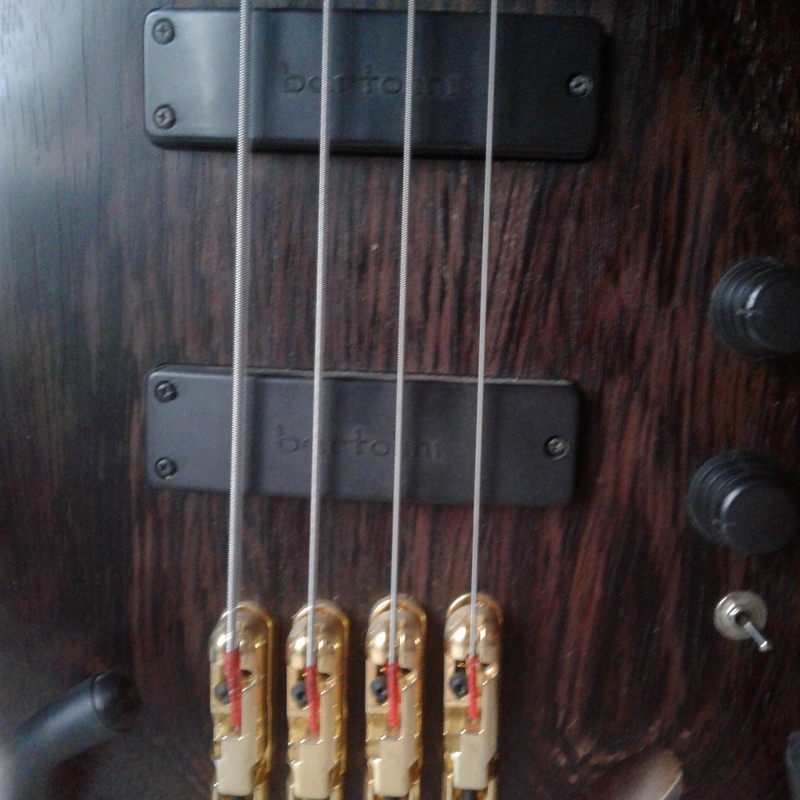 I wanted to buy a bass because I like this instrument, and I fumbled to make a super instrument since I collect it, and I was not disappointed. this bass has no default, or when it is considered that it does not have enough rope, then we must first ogle the models 5 and 6 strings, available, but more expensive! 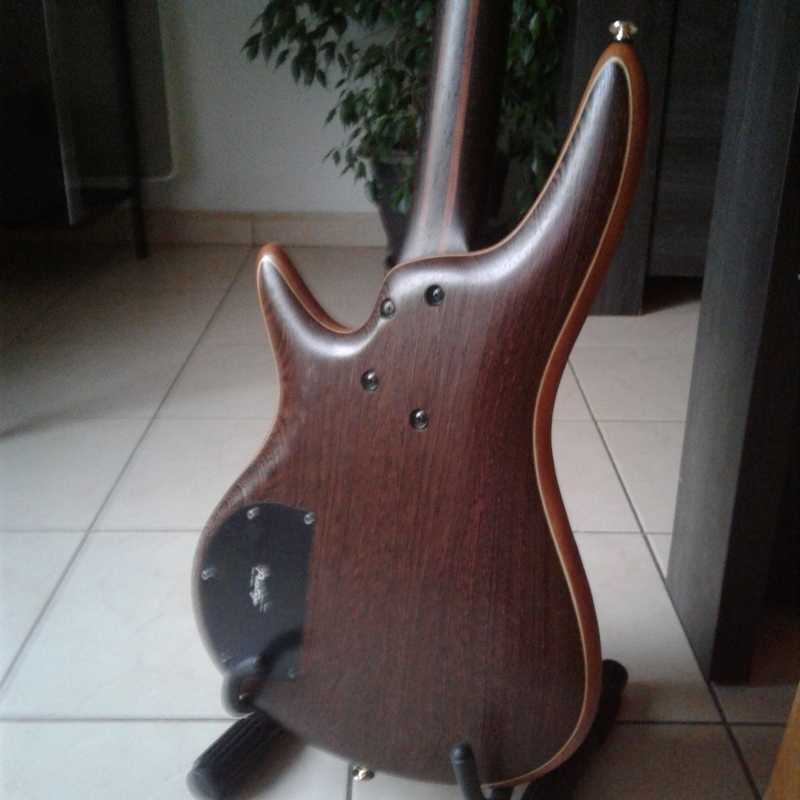 juanou13's review (This content has been automatically translated from French)" A perfect coffee ..."
Pickups Bartolini Custom bridge and neck U.S. The bass is not heavy, well balanced, credit fine and pleasant to the touch finish "oiled" the wood of the neck and the body is totally different from a low lacquered. Access to acute is easy, but I confess that I rarely play on my bass lower than an octave and a half. I use it for a week and I'm still not where I lay hands on, not only is a visual marvel, but also is a pure joy to play ... I always Ibanez liked to stick their fine and pleasant, and I went through a SR500, a btb09ltd a SR1000, but there ... Wouhaou ... I'm not really disappointed not everything is perfect. While the price is high, but the game is worth it, I'm not about to change and I would do the same choice if I devais.Si you have the opportunity to fall over, please!